The Macrobiotic diet goes all the way back to the late 16th century. It was first mentioned in Christoph Wilhelm Hufeland's book The Art of Prolonging Human Life (1797). It was expanded in the late 19th century by doctor Sagen Ishizuka. He conducted clinical trials on thousands of Japanese patients and eventually used these overwhelmingly successsful results to help found his association, "Shokuyo" in 1907. "Japanese macrobiotics emphasizes locally grown whole grain cereals, legumes, vegetables, seaweed, fermented soy and other vegetables, as well as fruits." It is based on the idea of yin and yang. Certain foods are considered more Yin: "expansive, light and cold", and others are considered more Yang: "compact, dense, heavy, and hot" (wikipedia). 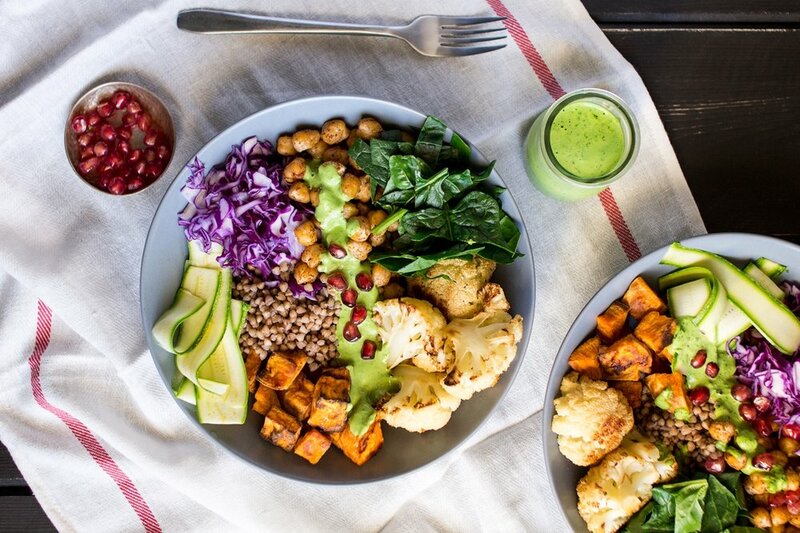 The Macrobiotic diet seeks to maintain optimum balance in the body by combining the foods we eat so that there is an equal amount of yin and yang in every meal. It also recognizes that the body needs different types of foods at different times of the year. This is why there is a high emphasis on eating seasonally and locally. Fermented foods (kim chee, sauerkraut, pickles, miso, etc) and Seaweed 5%. Herbal teas, vegetable juices, and lots of water. -Dairy (milk, cheese, cream, ghee, whey, yogurt, and ice cream) -Animal proteins (meat, eggs, gelatin) -White/ brown sugar, maple syrup, corn syrup, and other refined sweeteners -Processed fruit juices from concentrate -Refined oils -Alcohol -White Rice -White Flour -Artificial Chemicals, preservatives, and dyes. Choose most of your food based up the "Slight Yang" and "Slight Yin" columns (80%). The other colums "Moderate Yang" and "Moderate Yin" should compromise the rest of your diet (20%). As a vegan I choose to abstain from the foods in the "Extreme Yang" or "Very Yang" Column as well as the cheese, cream, yogurt, and butter from the "Very Yin" column.The only thing from the "Extreme Yin" column that have chosen to include in my diet is caffeine.